Are you travelling alone to a new country for the first time? 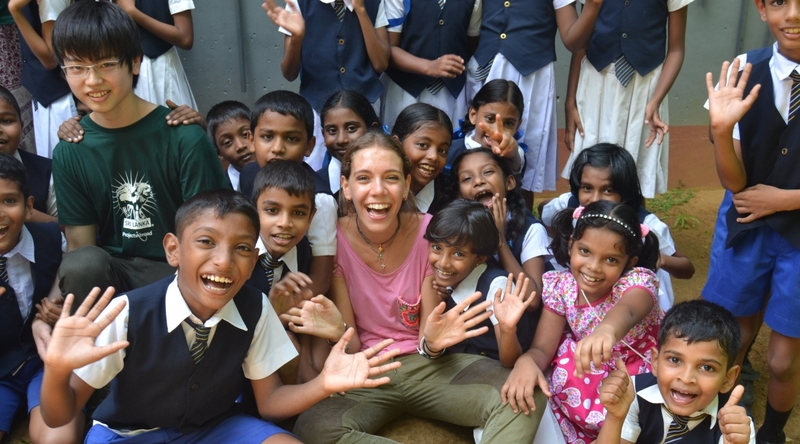 Wondering if it is safe to volunteer abroad? We’ve been there. And it can be daunting. But one of the things you can be 100% sure about is that you are in good hands with us. We take care of every aspect of your safety while you are volunteering abroad with us. Staying safe while you are volunteering overseas is our top priority. We keep in touch with you during every step of the way in order to keep you safe. From the moment you sign up until you fly back home. We want your focus to be on volunteering and exploring. You can leave the rest up to us. Before our Project Experts even suggest a country, we’ve ensured it’s safe and politically stable. We are constantly in contact with the British Foreign and Commonwealth Office (as well as officials in other countries), regarding safety and stability. The only conflict you’ll encounter is which of our countries and projects to choose. What our volunteers love most about us is our dedicated, friendly staff. We never use third parties or contractors for our support staff. We employ and train our own local team in every country we work in. We train our staff to high standards and we trust that they’ll keep you safe. “Our volunteers and their families have expressed their gratitude for ensuring their safety above all else when tropical storms and hurricanes have threatened Belize. We act immediately, ensuring safe accommodation, food and water are available for the duration of the event or organise travels out of Belize in the event of a stronger hurricane. The team also keeps volunteers and families updated on the progress of the storm in real time to avoid worry or stress during that time.” - Kristin Marin, Belize Country Director. Many of our staff have safely volunteered as well, and have a personal connection to Projects Abroad. They’ve been where you are and understand what it’s like to take part in an experience like yours, and how important it is to have great staff support. Your physical and mental health is a top priority during your time with us. We have employed an experienced doctor in volunteering travel and expeditions who is available to consult with you and your GP before you leave. This way you and your GP can discuss any health concerns and our in-house doctor will advise you accordingly so that you feel confident about your upcoming trip. They’ll also liaise with our staff on the next best steps if there is an emergency or you’d like to see a doctor while abroad. Although we do everything in our power to keep you safe, sometimes life just happens. Whether you catch a sniffle or your luggage gets lost, we’ve got you covered. We provide travel and medical insurance so you can safely volunteer overseas with us. Just one less thing for you to worry about. You didn’t think we’d just send you without a little guidance, did you? You’ll have access to a personal webpage detailing all the information about your project and your Volunteer Advisor will talk you through it. They’ll manage your expectations, share safety tips and more. Think of them as the Wikipedia of your project and destination. “Expectations vary between volunteers with regards to safety. However, petty crime is usually no more different than what you’d expect back home. Incidents are rare but as part of our volunteer safety tips, I always advise them to be vigilant and aware of their surroundings.” - Clem van der Merwe, Volunteer Advisor for Cambodia, Ghana and Samoa. We don’t want you to struggle to find your way around a new city when you first arrive. Come rain or shine, day or night, our staff will be at the airport to collect you. 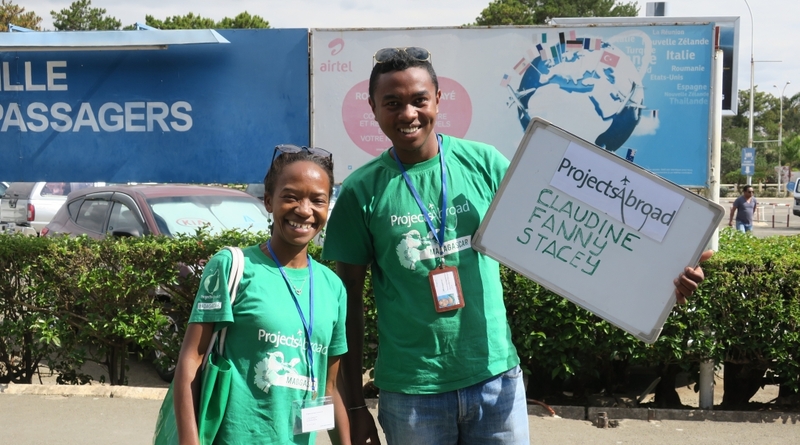 You can’t miss them in their green staff shirts, complete with a sign saying “Projects Abroad”. They’ll be waiting for you at the entrance of arrivals, and may even be mistaken as your overexcited extended family. “We’ll keep track of your flight and ensure we are there when your flight lands. You’ll even receive a picture of our driver ahead of arrival so you know who to look for.” – Kay Hendricks, Jamaica Country Director. We want your accommodation to feel like a home away from home; safe, secure and relaxed. So our host families and accommodations are chosen by us according to neighbourhood ratings, comfort and friendliness. Although there won’t necessarily be king size beds and gourmet meals, you can expect a safe and homely place to sleep, a full belly every day and a host family or accommodation staff that really care about your well-being. You don’t need to scour the internet for days on end in order to feel safe during your trip. We’ll provide you with everything you need to know. Our staff will share cultural tips, how to travel around the country safely, what to be aware of when alone, who you can contact in emergencies and more! If there’s anything else you need, they are only a phone call away. For your daily work commute, we have arranged the safest form of transport. In some countries, you’ll use efficient public transport and in others we will have arranged private vans or tuk tuks to take you where you need to be. You may even walk or cycle every day if you live close enough. We’ll always go with you on your first day to show you how it works. And, if you still aren’t comfortable commuting alone, we’ll accompany you until you are. You think millennial's are the only ones attached to their phone? Well our staff would beat them! No matter what time of the day or week, our staff will be contactable. Whether it’s an emergency, an issue at your placement or you just needing someone to lend an understanding ear, our staff will be there. They really do go above and beyond. Your project supervisor will also be your support-system during your stay. If you need help with anything, they’ll be there. They know your project, the local area and community well. So while you’re finding your feet, they can organise things quickly and easily and are always happy do so. We want to know if you got home safe and hear about your trip. Did it meet your expectations? Did you feel safe? Were our staff available when you needed them? There’s always room for improvement and with your feedback, future volunteers will benefit from your volunteer safety tips. These are just a few of the procedures and systems we have in place to ensure you feel safe and supported so you can focus on making the biggest impact possible. “Essentially, we are committed and prepared to go above and beyond to ensure our volunteers are safe, and ensure parents or partners at home are confident that we’ll come up with a suitable solution to any safety issues that may arise." – Kristin Marin, Belize Country Director. With all this in mind, what’s holding you back? Join a volunteer project, internship or cultural exchange abroad with us, knowing that you’ll be safe and well cared for. Want to know more about our safety procedures?